Maintenance is paramount to a cutting board’s longevity. We proudly stock food-grade Howard Cutting Board Oil. 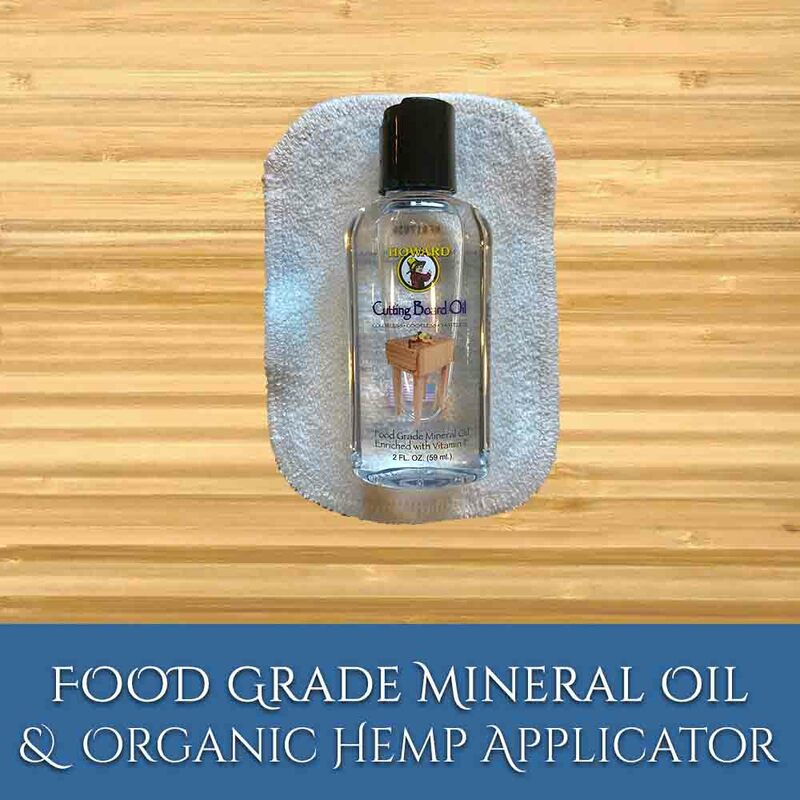 • Perfect for applying mineral oil to your cutting boards. Shipping for this item is free. If you order this kit with a cutting board, it will ship at the same time as the board. See your board specifications for current lead time.